In a game that Hanwell had to win the ‘Toon’ finally found the back of the net after over ten hours playing time since they had last done so. It was fitting (and a numerical 36% chance) that a Duffy scored (Connor) and also fitting that another played a captain’s innings at the back (Tom) to ensure that the one goal was enough to earn all three points. Town now go into the last game of the season, at Ware, knowing that a win will keep them up and that if Leighton do not win at Chalfont St. Peter they will stay up anyway. This was a hard-earned victory for Town with the visitors starting well with Wayne Carter orchestrating proceedings for them. Tom Duffy was called upon to head clear on no less than four occasions before the game was five minutes old, with his brother Olly twice cutting out dangerous balls in the area. 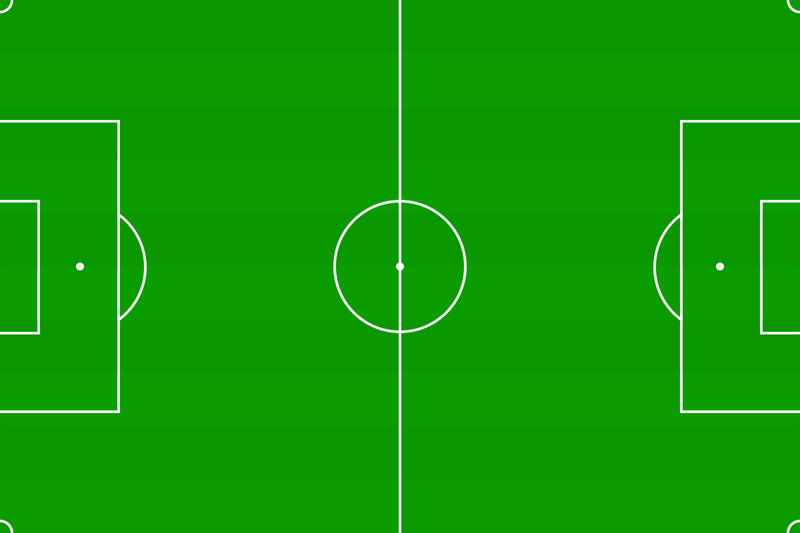 Then, in the ninth minute, and against the run of play, Town scored. A short corner found Michael Buckley whose deep cross was knocked back across the area where it was met by Connor’s head and the goal drought was finally over. 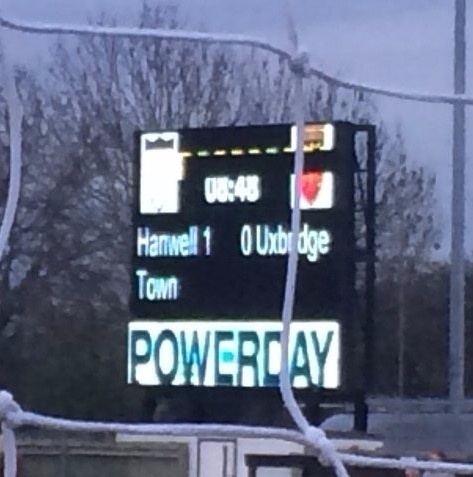 Uxbridge were not daunted by the reverse and almost levelled in the eighteenth minute when a back-heel from one of a series of corners was cleared off the line by Michael. Sam Hurrell then made a vital tackle from a sitting position in the box, preventing a shot from close range. However Hanwell looked particularly threatening on the break with David Manu’s pace and perseverance causing the visitors problems. A number of free kicks were awarded for fouls on him but not the one in the box that had the ‘Massive’ and many others baying for a spot kick. David did manage to get loose on one occasion, setting up Sam for a shot that was well saved by Sam Gray. Five minutes before the interval however, that man Carter had a great chance to equalize, but his cushioned volley from ten yards out went just wide. Hanwell, as is so often the case, started the second half well but gradually the Reds increased their level of possession. Tom Kennedy was particularly busy with head and feet as they attacked down his flank. With a quarter of an hour to go the Hanwell supporters hearts were in their mouths as Carter lined up a free kick from just outside the area but to everyone’s relief he pulled it just wide. A notable aspect of the evening was the great strength of the Hanwell ‘bench’. Manager Ray Duffy sent on the fresh legs of Tom Inch and Tyler Christian-Law for the hard-working Sam Hurrell and Bradley Simmonds in the last twenty minutes but he still had Ryan Kinnane, Ryan Egan and Tom Hunt, all of whom have performed well this season, available to go on if necessary. As the game approached the final whistle a pass from Michael found David who went past two defenders but fired just over from a difficult angle just inside the box. With the ‘Massive’ in full and voluminous support throughout the half and the supporters in the ‘Bob Fisher’ stand getting increasingly ‘squeaky’, as Alex Ferguson would say, the players performed heroically as the clock ran down and the goal line was not breached. The three points were won and now it’s ‘once more unto the breach dear friends once more’ as Town go into ‘battle’ at Ware on Saturday.